Welcome to Thursday! The day we all show off our stuff! 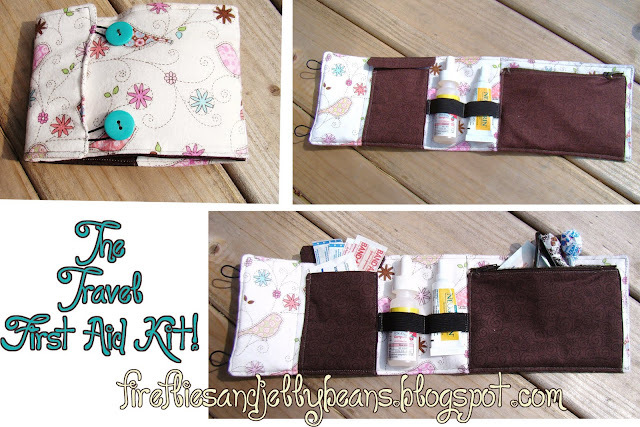 This week I am showing off my Travel 1st-Aid Kit! Thanks so much for hosting again Fawnda!! Now that's a first aid kit! Love the first aid kit, so cute! And thanks for hosting! HI friend! I love this link up party. So, I was wondering if you could spread the word that I am doing a reversible apron give away? thanks for hosting this party!!! i linked up 3 things haha not sure if that is allowed. love your blog...i think i need to follow you!! Thanks for hosting! What a great first aid kit. I should def make one - How many times have the kiddos needed a bandaid while we've been out and about?!? Love the first aid kit...I can see it comming very handy. I tried to had my link for the thing and I so messed it up. Oh well. =) I didn't realise the name thing ment name for the project...oh boy that is just how my week has been! I wanted to say "bunny moblie." I just feel so silly now. Hopefully the button goes better. I'm way to new at this stuff.